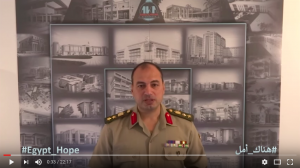 Legal authorities have detained a senior army official Saturday after he announced on social media his intention to run for next year presidential elections, likely against army commander and President al-Sisi. 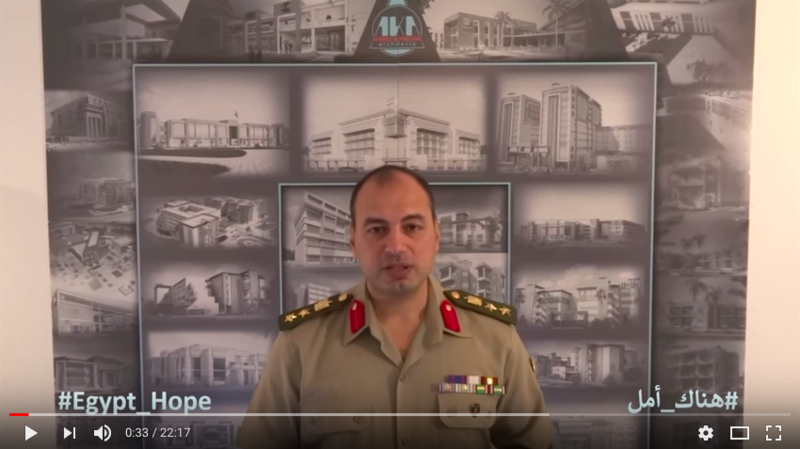 Colonel Ahmed Konsowa according to his lawyer Asaad Heikal was arrested Saturday on suspicion of “behavior that harms the requirements of the military” following a video post in which he stated his political views. The colonel, 42, announced last Wednesday in his posts that he would enter next year presidential elections race to improve the country’s education, health, economic policy, respect of human rights, global values of citizenship and transparency, as well as the rule of law. “I proudly declare that I have decided to unlock the current political deadlock by running” in the election, Konsowa said in his post. Konsowa will remain in custody for 15 days on preventive measures pending investigations. Lawyer Heikl told AFP that his client emulated President al-Sisi who announced in 2014 his candidacy when he was still a military and defense minister. Sisi won the 2014 election, one year after he toppled elected President Mohamed Morsi. Konsowa also said he has sought through legal means to resign from the military for more than three years to take part in political activities but has failed. “Consequently, this time I have decided to put the whole thing in front of the people through this simple announcement,” he added. Also on Saturday, former Premier and army general Ahmed Shafiq returned from the United Arab Emirates (UAE) where he has been living since losing to Morsi in 2012. The former statesman who was appointed Prime Minister following the overthrow of Hosni Mubarak in 2011 has also announced his intent to run for presidency. “I said my intention was based on the information and the general idea I had about the current situation,” Shafiq told talk-show host Wael El Ebrashy by phone in his first comments since Saturday. President al-Sisi has not clarified whether he will run for next year election but it is in the cards that the army general turned into President will be part of the race.